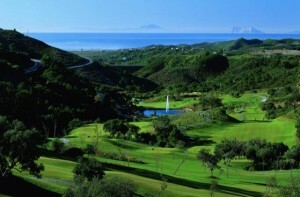 The Marbella Club Hotel Golf Resort is a world class Marbella golf course that exceeds even the highest expectations. With a total length of 6,247m, the golf course is enhanced by carefully contoured fairways, beautiful waterfalls, lakes and strategically placed bunkers, as well as undulating and protected greens, maintained to perfection. The in-house British P.G.A. Professional, Gary Vautier, has extensive experience teaching all aspects of the game at all levels of ability, and is available to answer your queries, upon request, several times a week. With limited play and an average of 30 minutes between tee times, over-crowded rounds are not a concern and morning tee times are guaranteed. Players need only concentrate on their game and enjoy a superb day of golf that meets the expectations of the most demanding fans of the sport. Enjoy one of the best golf courses in Spain. The picturesque first hole typifies the quality of the course’s design with beautifully contoured fairways and immaculate greens and marks the beginning of a memorable round of golf. The 18 holes measure in excess of 6,000 meters and comprise water features and demanding bunkers, a trademark of the course designer, encouraging players to search for the most advantageous approach shot. Bermuda 419 grass has been utilized on the fairways and tees, a blend of three grasses on the ante greens with a relatively new strain of American grass on the greens. The computer controlled irrigation system, alongside the latest in fairway moulding and contouring techniques allows for the course to be maintained in impeccable condition for year round play. 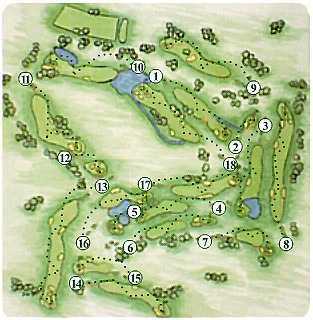 The front nine provides the unique experience of three consecutive par 5s, which not only represent a severe test early in the round but also offer some of the most picturesque scenery on the golf course. The tee on the seventh is the highest point on the course and provides a panoramic view of the coastline, Gibraltar and across to Africa. Stretching for over 6000 meters, combining length with clever placement of bunkers and water hazards plus intriguing green designs, the par 73 course culminates in one of the most dramatic 18th tees in Europe. One of many elevated tees, the par 5 , reachable in two for some pros, is a memorable final hole.